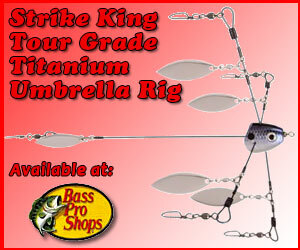 Effective May 24, 2013, under a new Indiana Department of Natural Resources (IDNR) rule*, an umbrella rig, like the Alabama Rig for example, can now have up to three hooks and unlimited hookless attractors. 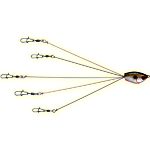 When artificial lures are used on an umbrella rig or similar device, they are considered one hook, even if the lure has multiple hooks. 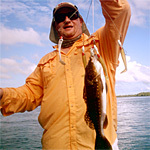 * Always make sure you get the latest fishing guide regulations directly from the state or province you plan to fish in as regulations are subject to change without notice on AlabamaRig.com. Though we attempt to get an official up-to-date response we cannot guaranty we have the latest correct and complete regulations including all exceptions.